Marine mammals are inherently vulnerable to oil spills. We developed a conceptual framework to evaluate the impacts of potential oil exposure on marine mammals and applied it to 21 species inhabiting coastal British Columbia (BC), Canada. Oil spill vulnerability was determined by examining both the likelihood of species-specific (individual) oil exposure and the consequent likelihood of population-level effects. Oil exposure pathways, ecology, and physiological characteristics were first used to assign species—specific vulnerability rankings. Baleen whales were found to be highly vulnerable due to blowhole breathing, surface filter feeding, and invertebrate prey. Sea otters (Enhydra lutris) were ranked as highly vulnerable due to their time spent at the ocean surface, dense pelage, and benthic feeding techniques. 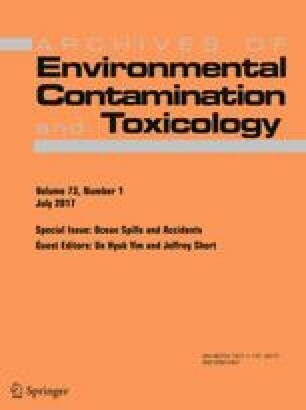 Species-specific vulnerabilities were considered to estimate the likelihood of population-level effects occurring after oil exposure. Killer whale (Orcinus orca) populations were deemed at highest risk due to small population sizes, complex social structure, long lives, slow reproductive turnover, and dietary specialization. Finally, we related the species–specific and population-level vulnerabilities. In BC, vulnerability was deemed highest for Northern and Southern Resident killer whales and sea otters, followed by Bigg’s killer whales and Steller sea lions (Eumetopias jubatus). Our findings challenge the typical “indicator species” approach routinely used and underscore the need to examine marine mammals at a species and population level for risk-based oil spill predictions. This conceptual framework can be combined with spill probabilities and volumes to develop more robust risk assessments and may be applied elsewhere to identify vulnerability themes for marine mammals. The online version of this article (doi: 10.1007/s00244-017-0408-7) contains supplementary material, which is available to authorized users. The authors gratefully acknowledge the financial support of the National Contaminants Advisory Group of the Department of Fisheries, Oceans and the Canadian Coast Guard.